The UK property market is as strong as it’s ever been. Investment in commercial property rose by a massive 66% in January 2018, and the companies making the most of this boom are the ones using SEO to drive relevant audiences to their sites. That said, one digital marketer’s idea of SEO may differ wildly from another’s. In the olden days of SEO, you would do whatever it took to get ranked. By hook or by crook, the name of the game was rankings. But now, that game is up. Search engines are far more sophisticated, and searchers too. We’re getting ahead of ourselves, though. All of that is to come. Here is why SEO is vitally important for property businesses everywhere. Over the course of the past few years, Google has made some massive algorithm updates to reinforce the mantra of ‘quality over quantity’. This means that content with greater depth, increased relevance, and an altogether more informative approach is likelier to rank highest. As we come to explain, SEO of late has much more to do with user experience than it has ever done in the past. User behaviour demands much more from content, and – in the name of those coveted conversions – content marketers must serve the user completely. This means that, using increasingly sophisticated methods, Google rewards content that’s informative, helpful, and above-all relevant to the user and their search query. So, with the growth of machine learning, SEO is more about anticipating and interpreting consumer behaviour. 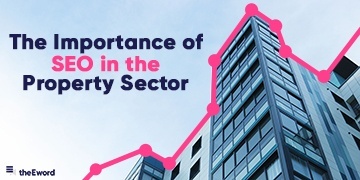 In terms of the property sector – the value of which stood at £883 billion last year – there is huge competition, with brands jostling for the highest rankings. To stand a chance of competing, you need to pursue the most relevant keywords. Here’s how. Thorough keyword research is the cornerstone of SEO; it allows you to focus on the areas that are of interest to your audience. You need to know which search terms are most relevant to your business, because without this insight, your content will fall short of the audience’s needs. When you’re setting out on a keyword research task, it’s important to have an idea of what your audience are searching for. At the initial stage, this comes down to gut instinct, which you can later back up with quantified data. In terms of keyword research tools, try to think beyond Google Keyword Planner. It’s a great tool for minimal research tasks, but to dive deeper you’ll need one (or a combination of) the following tools: Ahrefs, Ubersuggest, and Moz’s Keyword Explorer. It’s a matter of opinion of course, and some SEOs prefer others, but these are considered the most popular on the market today. Below is an example of some standard keyword research for the property sector - and also a sneak peek at Keyword Planner's new layout, tell us what you think of it via Twitter. Studies show that 69% of shoppers who are looking for a home will start with a local keyword. With this in mind, you should incorporate local search terms when you optimise your business’s website. By capturing local traffic, your business stands a much greater chance of ranking for more targeted terms. 72% of consumers who did a local search visited a store within five miles. It’s worth giving some thought: this is search intent with a real focus on conversion. More than half of these searchers – much more than half – are looking for businesses on their doorsteps, making it all the more convenient for them to engage in your services. 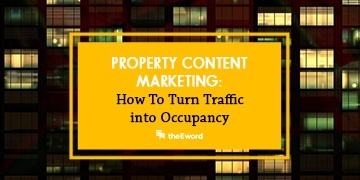 You need to use images and multimedia in your property content. Put yourself in the searcher’s shoes: without images, they’ll be put off and may look elsewhere. Think about their perceptions and how they first encounter the properties you’re selling. Are you giving enough to the searcher? From an SEO perspective and as a standard practice, make sure your image descriptions and alt tags are properly optimised, so that Google knows their relevance and can rank your pages accordingly. It’s SEO 101, and overlooking these areas will damage your website’s overall visibility. You can test site speed with Google Page Speed, which tests a site’s speed and looks at how well it performs. Like Google Page Speed, there are plenty more free tools out there that have similar functions. Search engines reward sites that have reputable, high-DA sites linking back to them, because it’s an indication of high-quality content. Of course, we’ve always known this, but only lately has Google upped the stakes. Instead, engage in some healthy outreach to secure those high-quality links on reputable, relevant sites. It’s all in the name of improving your visibility, in order to give you a better chance of being the first site that your target customers come across when they’re looking for information. In terms of what sites your website should aim to receive backlinks from, use DA (domain authority) as a guide. The higher DA, the more you’ll want to be ‘endorsed’ by high DA websites. Local SEO can work wonders when you’re marketing in the property sector. Local SEO is an extension of regular SEO, focusing on specific locations to ensure you rank the highest on your patch (so to speak). If there are competitors in your digital backyard, local SEO will help you outrank them. Over the years, local SEO implementation has evolved into an area of its own. There are some fantastic tools you can use to do this, one of which is Google My Business. Google My Business allows you to build a profile for your business based on location, with which you can then rank for location-based searches. According to studies by HubSpot, 50% of consumers who do a local search on their smartphone visit a store within a day. When you’re marketing within property, this kind of immediacy is part and parcel of the industry and is something you can use to your advantage. When it comes to driving visibility in the property sector, your approach needs to be integrated with the latest advancements. This requires you to be up to date with digital trends as well as industry news and developments. Keep an eye on your competition, too, because it gives you a good lay of the land in terms what other businesses in your sector are up to. To sum up: great SEO begins and ends with great content. 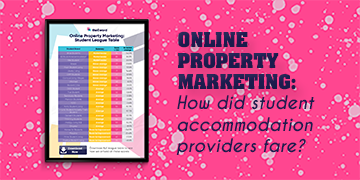 If you want to serve your audience with insightful content but are unsure where to start, download our free guide to online property marketing here. You can also book a call in with our Director Kleon West, who is happy to talk through your options.